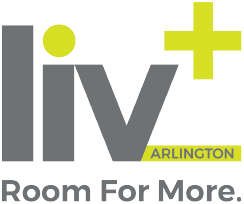 Have it all at Liv+, where you can enjoy a brand-new apartment community full of luxury amenities in a prime location steps from the University of Texas at Arlington, and just minutes from the College Park District. 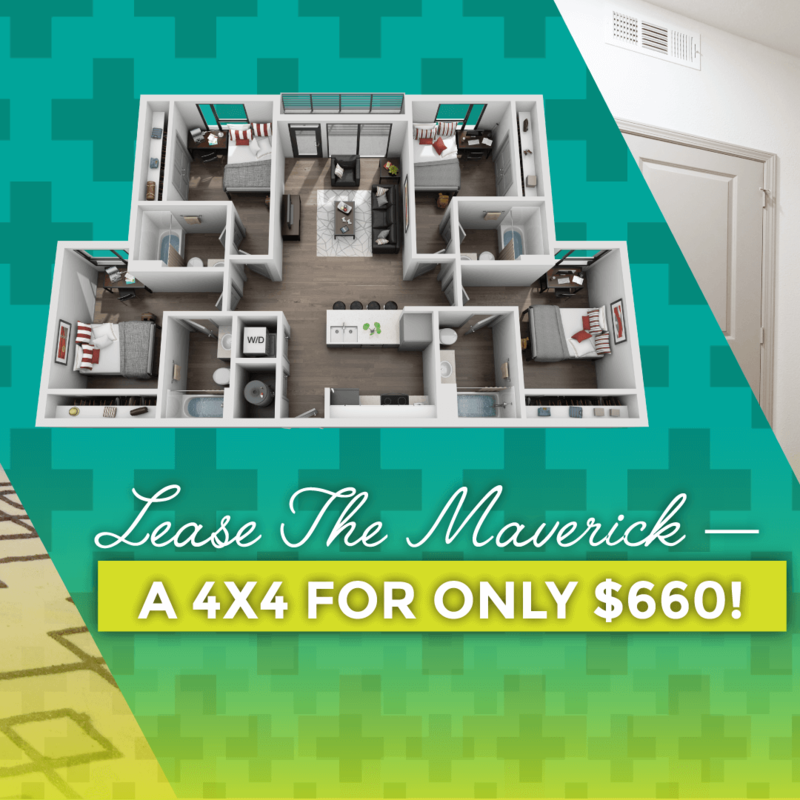 Plus, our four-bedroom/four-bathroom unit — The Maverick — is now available for only $660. 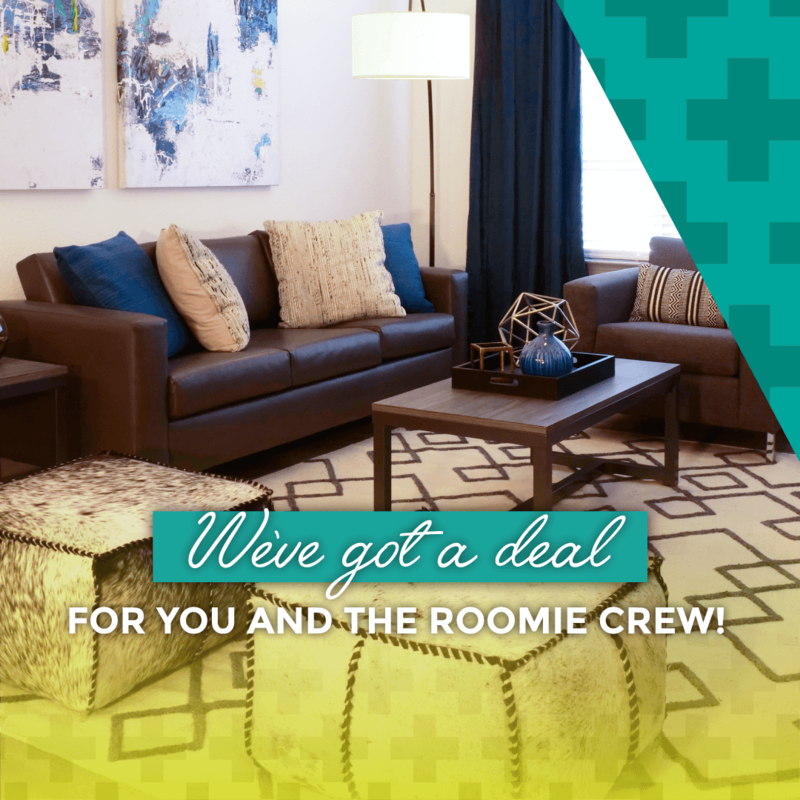 It’s a perfect setup for you and the roomie crew! 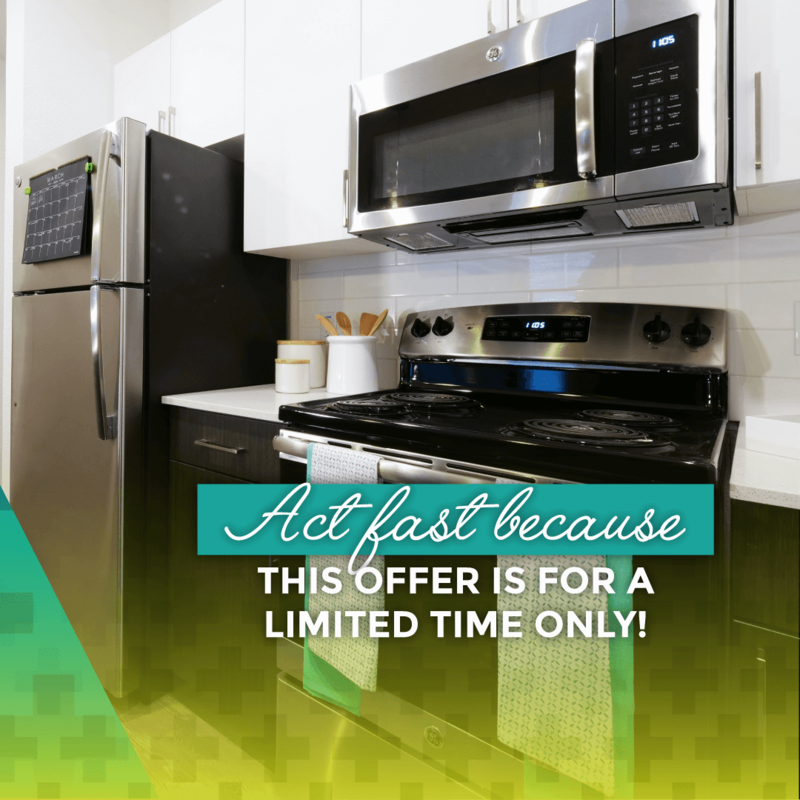 These units will go fast, so contact us today to lock in this deal before this offer is over. Contact Us for Rates and Specials! Learn How You Can Receive This Low Rate!